This tutorial will explain you how to import complete Joomla database from one site to another, using SQL dump file and phpMyAdmin software installed on your server. This is useful if you need to duplicate existing Joomla site. It will save you a lot of work. Joomla 1.6 is available since January 10, 2011. We are currently upgrading all our templates and extensions to Joomla 1.6 native mode. We will report upgrade progress of all our products on this page, so make sure you bookmarked it. 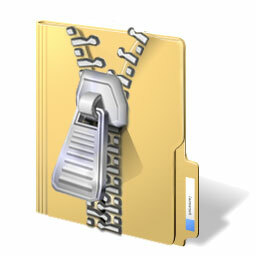 In HotStart installation instructions, you will read "unzip and upload". When we tell you to upload, we are not telling you to randomly upload HotStart files anywhere on your server. Please upload to an empty directory that is accessible via web browser (it's usually inside public_html or httpdocs directory)! Not all directories of your hosting space are accessible via web browser. Once you finish this installation method, you should get exactly the same copy of template demo (as seen on our site) on your server. Let's start!